The next great Vancouver photography location in this series is Stanley Park. It’s a pretty obvious place to mention, but it's such great location that it has to be on this list! Also, it is named after the same Lord Stanley of Preston who donated the Stanley Cup trophy, making it an appropriate time to write about Stanley Park because the Vancouver Canucks are competing in the Stanley Cup finals! They have a great chance to win the trophy for the first time in their 40 year history. The last time a Vancouver team won the Stanley Cup was in 1915 by the Vancouver Millionaires. 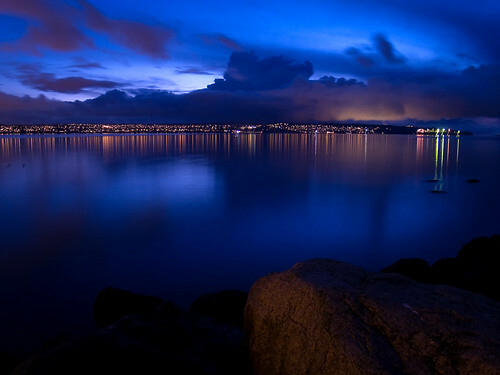 As a photography location, Stanley Park has a lot to offer. It's a large natural park with beautiful forests, beaches, a seawall, outdoor pool, and many other recreational facilities. It is also next door to downtown Vancouver, which makes it incredibly easy to get to. The close proximity to the city also provides some spectacular skyline views. Head over to the east side of the park to get beautiful morning golden hour light, and views of Coal Harbour, Burrard Inlet, North Vancouver and The Lions Gate Bridge. The shot below was taken on the eastern side of the park near Brockton Point. The western side of the park is perfect for evening golden hour light and sunsets with a view of English Bay. 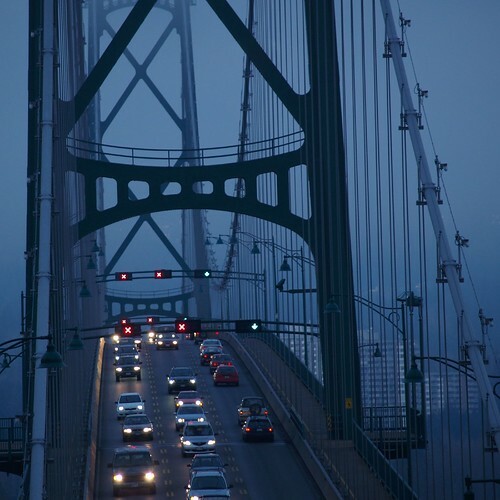 The Lions Gate Bridge is a Vancouver landmark that makes a great subject for photos. The bridge can be seen from the seawall and from Prospect Point at the north end of the park. Stanley Park has some spots with views of the city in the background and water and beach in the foreground. 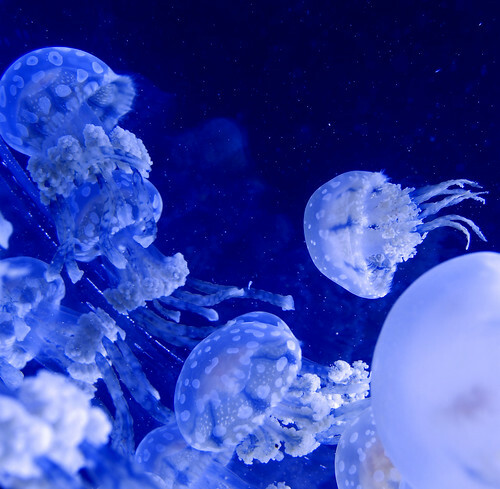 The Vancouver Aquarium is located inside Stanley Park and has great photography opportunities, including beluga wales, sea otters, seals, jellyfish and seahorses! 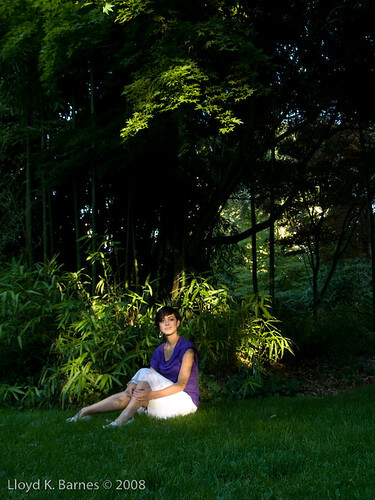 The numerous gardens provide beautiful scenic spots for photography in Stanley Park. If you are visiting Vancouver or a resident of the city, Stanley Park is a wonderful spot for nature photography, seascapes, and landscapes, or as a location for portraits and people photography. It is a huge park and I have barely covered a tiny part of the potential photographic opportunities. I know one photographer who only photographs the wild life and plants in Stanley Park. Feel free to post links to any photos that you have taken at Stanley Park! As a Vancouver based photographer, I've had the opportunity to shoot at a variety of locations around the city and would like to share some of my favourites. In each post, I'll cover one location and include links to the previous post. 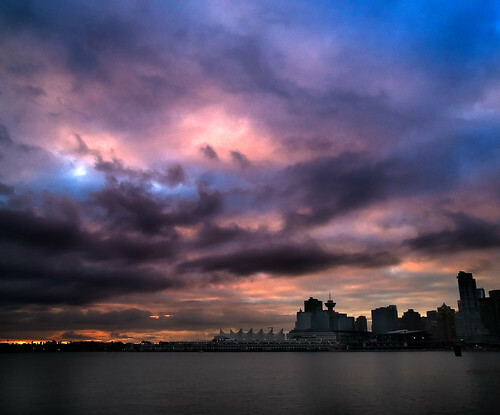 Vancouver is a great city for photography. I moved here five years ago, and it inspired me to get more serious about it. I bought my first DSLR because I didn't want to waste my opportunities with a point & shoot camera! The city is surrounded by a beautiful natural ocean and mountain environment. 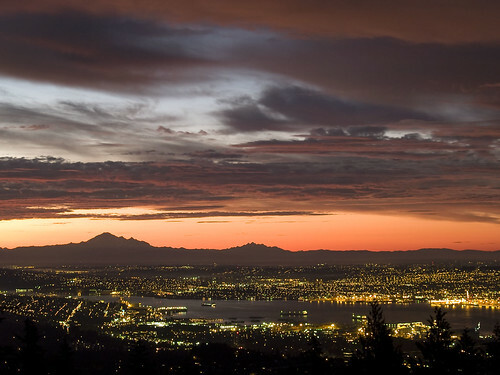 Its northern latitude gives the city exceptional light with golden hours lasting much longer than one hour, and the proximity to the ocean provides a beautiful atmosphere. The biggest downside with Vancouver is its famous rain, which can settle in for a week or two at a time, especially in the winter! Ironically, that made me get more involved in studio photography where the unpredictability of the weather was not a problem! But when the weather and light are great, there's nothing I'd rather be doing than shooting outdoors at one of Vancouver's beautiful locations. 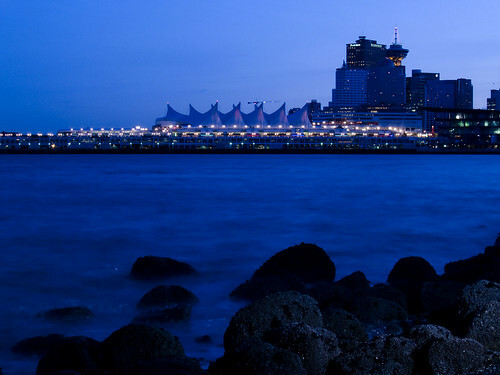 Please feel free to share your favourite Vancouver photography locations in the comment section. This is a great place to for breathtaking shots of the city. 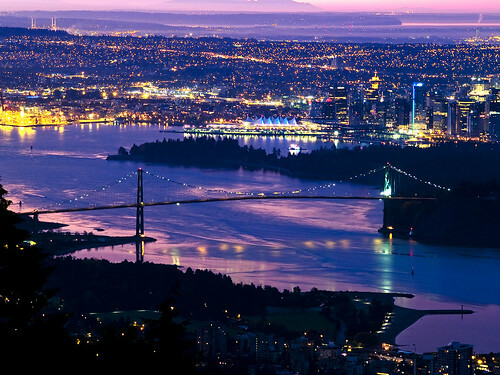 You can see downtown, the Lion's Gate Bridge, Burrard Inlet and a huge vista of the surrounding areas of Vancouver. 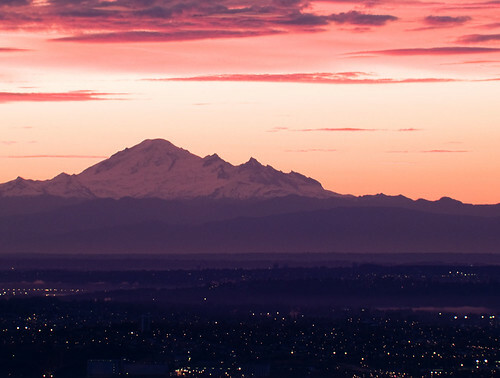 Mount Baker, in Washington State is also very prominent on a clear day. If you get there an hour before sunrise, you will have both the city lights and a beautiful sunrise. It is easily accessible with a parking area next to the viewpoint. Here's some information on getting to the Cypress Viewpoint.